ANDREA KLEMENTOVÁ from Ski Club Jablonec nad Nisou became two-time Champion of the Czech Republic in classical skiing for the year 2013 in the Older Junior (OJ) category taking place on 2nd and 3rd February 2013 in SKSV SKI club Šumava. Andrea did not find a conquering rival in the race on the 5 km course in classical technique and the 9 km course in free technique with mass start. 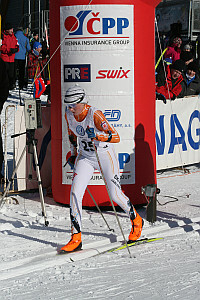 The rising star of our cross-country skiing was shining on the racing course not only with her performance but also with her orange-colored cross-country ski boots of the brand BOTAS.